Passion, experience and professionalism are three words I live by. There’s nothing I enjoy more than displaying my passion for home financing by sharing my experience with my clients as a professional mortgage broker. Real estate investment can be one of the simplest and most rewarding ways to grow wealth. Knowing how to get into the game and most importantly how to get the best deal on your finance can be two of the biggest hurdles that prevent people from getting started. That’s where Mortgage Achievers comes in. We believe that everyone has the opportunity to invest in property and we want to help them navigate the array of products and services offered to ensure they get the best deal on their finance. I’ve learnt the hard way that nothing comes for free – you have to work for it. I truly believe that everyone has the opportunity to create something more for themselves and I enjoy helping people achieve it. Home and investment finance is in my blood, I’ve been doing it for years and have a passion for it like no other. Here at Mortgage Achievers our goal is to help you down the path to financial freedom and stability through navigation of the various products and services offered by the lenders. We believe that it shouldn’t be hard and we enjoy making it easy for our customers. Relationship Building and Beating the Banks! Two things which give me a buzz. I love getting to know people and helping them to achieve their goals. At the same time ensuring they receive great service and the best available discounts and outcomes from a wide range of lenders. My forte is guiding clients in their journey through the many facets of lending to ensure they fully understand what can be confusing. We have been caring for our customers for nearly 20 years all by referral from our satisfied clientele. I look forward to our ongoing relationship. At the end of the day, it’s all about happy clients! Carmen started her career in the mortgage broking industry in 1995 and since then, she has established herself as a Senior Mortgage Advisor. Her ambitious and professional approach to her work has earned her respect amongst her clients and colleagues alike. Carmen has a wide range of lending experience and products and an extensive knowledge of the industry. Carmen is a fully qualified member of the Mortgage and Finance Industry of Australia (MFAA) and has both her Certificate IV & Diploma in Financial Services. When not at work, Carmen enjoys socializing, keeping fit and healthy and spending time with her beloved dogs CJ & Jessie. Renee grew up in the Hunter Valley where she began her Banking and finance career after the completion of high school. Her lending career commenced with her move to Queensland in the mid-nineties where Renee worked in the Banking, Property Development and Real Estate industries. Through these work experiences she has gained extensive knowledge in the Queensland market for both Residential home buyers and Professional Investors. 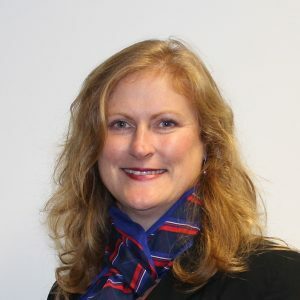 Internationally Renee has held roles in Credit Analysis, Business Development and successfully managed large Assessment teams for ANZ Bank in NZ. Renee currently assists our clients from loan submission to settlement. Amongst her passions is her positive desire to assist people achieve their dreams. She has a natural empathy that when coupled with her knowledge and experience have helped her assist many in their quest to obtain their goals. Outside of work, Renee loves Yoga, gardening and attending to her fur children. I’m the organizer! You want something done, I’ll do it. Loves a challenge and there is no bigger challenge than organising the Mortgage Achievers team! Embraces each new challenge with open arms for pretty much everyone in the office. Responsible for the day-to-day administration operations of the office, including website and social media management, as well as database management and our aftercare program. Carmel’s personal goal is to have a European summer holiday! Outside of the office Carmel keeps busy with her husband and two extremely sporty kids. She loves to go on long walks, yoga classes and a really good coffee. Peter and Sussan were fantastic ! Very helpful, confident and friendly. I felt assured that I had made the right choice in choosing their team to assist me with my refinancing right from the start.